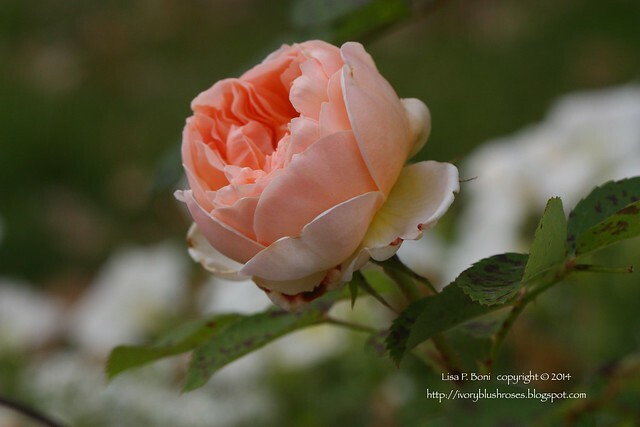 It's hard to believe that November is already here and that the roses are still blooming in my garden! So much beauty to be thankful for! 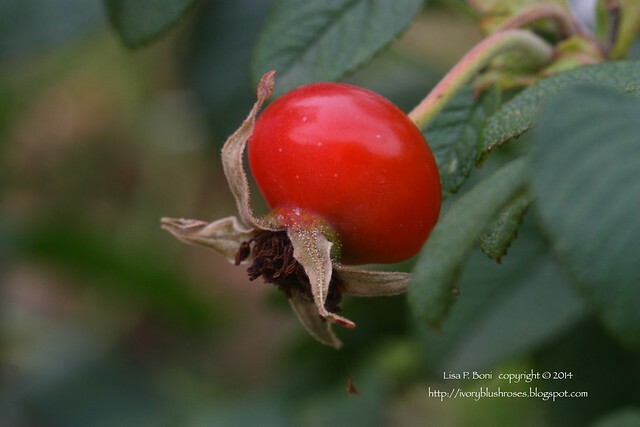 One of the roses I planted this year was a rugosa rose, which I planted mostly for the beautiful big rose hips that it produces! With the cool nights, they have ripened to the most luscious shade of red! At over an inch in diameter, they are quite stunning! Another item I am so grateful for ~ my Heart blocks arrived home this weekend! They are simply amazing and I cannot wait to get the other blocks finished so I can put this out after Christmas is over! 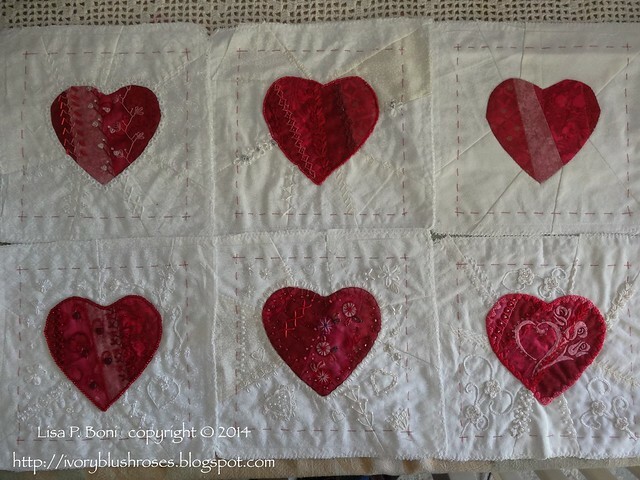 I'll be making a square wall hanging with a total of 9 heart blocks, so that means I have 4 heart blocks to complete in order to put this one together! The work that Renee, Tahlia, Barbara, Alexandra and Kathy did on these blocks is just wonderful! Yet another thing to be thankful for! 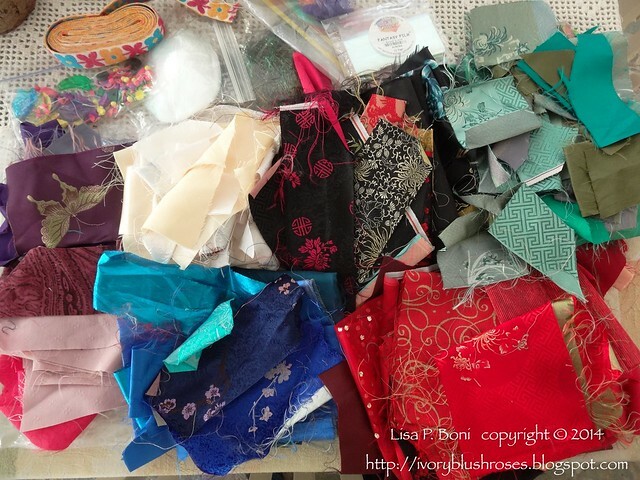 One of my blog readers, Linda P from Illinois, sent me this fun bag of fancy scraps! Lots of lovely brocades and fancy fabrics in there along with some Angelina fibers, trim and doodads! There was a lovely piece of soft buttery yellow satin ~ which was exactly what I was needing for a little project I am working on for my new sewing room! Thank you Linda! Though many of the trees have already dropped their leaves, others are still deep green. 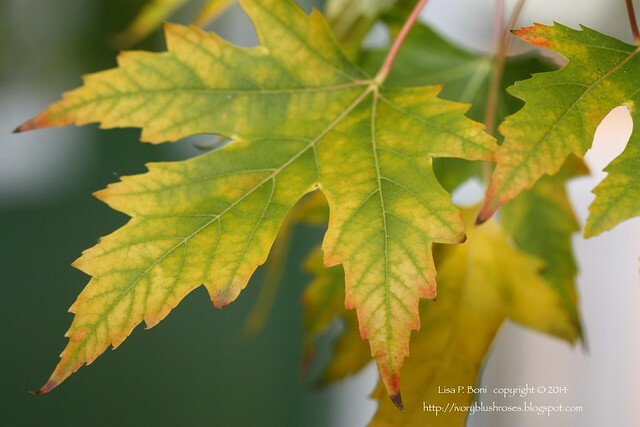 The maple tree in my side terrace is just now starting to change. 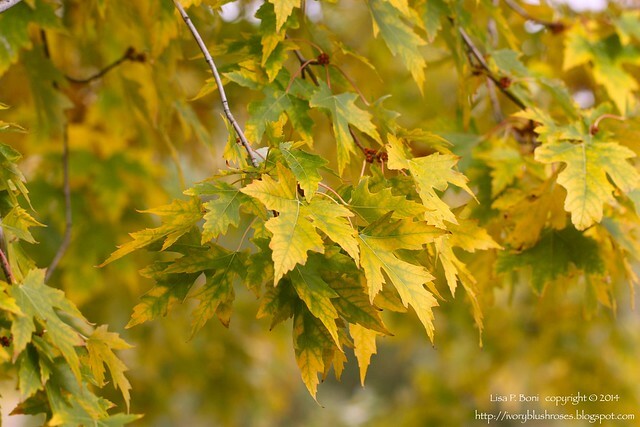 I love watching the leaves change from solid deep green, to mottled green and yellow and now yellow tinged with red. 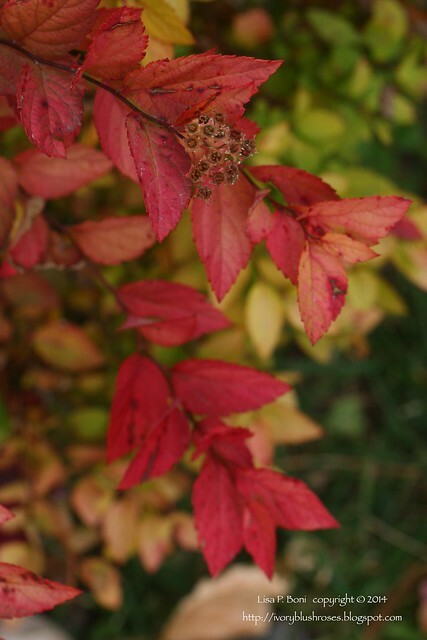 The burning bushes are slowly changing to scarlet red. Just beautiful! Thanksgiving Day in the U.S. will arrive at the end of the month. I love that it is a day with no expectation other than to spend time with family and friends, gathered around the table. In the past, I have loved that nearly no stores were open and that few people had to work. I do think it a wonderful thing to have a national day of rest and relaxation. As a nurse, I do sometimes have to work a holiday, and this year, my holiday to work is Thanksgiving. My co-workers and I will have a potluck Thanksgiving on the unit instead. Since I will not be celebrating with my family this year, I hope to share some of the many blessings that have come my way this year here on the blog. A month of Thanksgiving!